When I was a young kid watching TV in the '70s, there were occassional appearances of braces. In the '70s, braces were an embarrassing and dreaded teenage curse that kids wanted to avoid. One of the first times I saw a television program were getting braces was dealt with was a rerun of the early '70s family sitcom,The Brady Bunch, where Marsha, to her dismay, had to get them. I remember being intrigued at the time about what it must be like to have a mouthful of metal and to go around with them on. In this episode, Marsha did everything she could to hide her tin grin, until her boyfriend ended up having to get a metal mouth as well. There was also an episode of The Partridge Family where Lori Partridge got braces, and she was just as distressed by having to wear them. 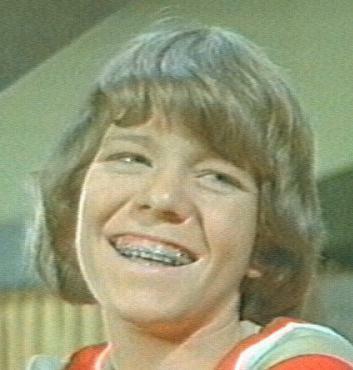 Interestingly, though, there were other members of the Brady Bunchthat also got braces later, like Bobby, but there was apparently no fuss over their orthodontia. 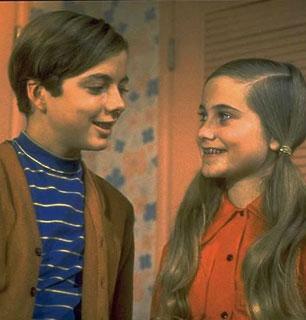 But one of the most memorable '70s appearances of braces was in the 1977 Disney flick Freaky Friday, with Jodie Foster. At the very beginning of the movie, Jodie flashes a glaring tin grin at herself in the mirror. She wears braces through a large part of the movie, before getting them taken off. As with Marsha's braces, Foster's were apparently fakes, but they sure looked like typical '70s era mouthful of braces.